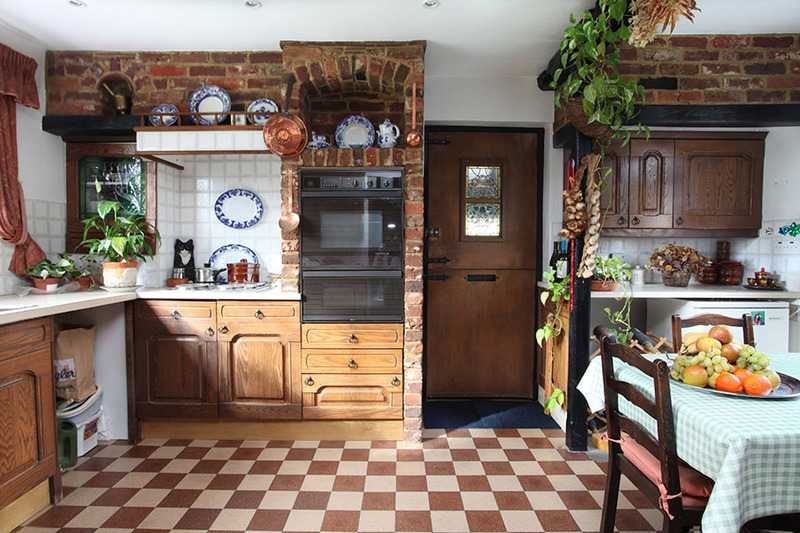 This morning takes us to a four-bedroom two-and-a-half bath historic house in Surrey, England. It is on the market for 999,950 pounds ($1.5 million). Portions of this 2,332-square-foot home date to the 1600s, when it was two separate cottages. The structures were combined around the turn of the 20th century. In 1975 the house was nearly razed to accommodate a new highway. Demonstrations led to a rerouting of the road, and the house was then deemed a “building of historic interest” by the Surrey County Council. 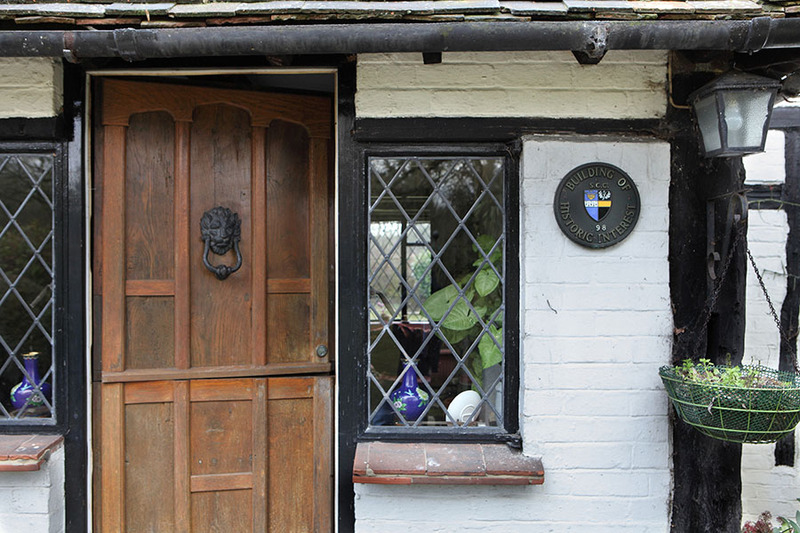 It is in Lyne, a village about two miles outside of Chertsey. London is about 45 minutes away. This photograph would have been perfect without the flashy car. I'm guessing the roof must have been thatched before they renovated it. 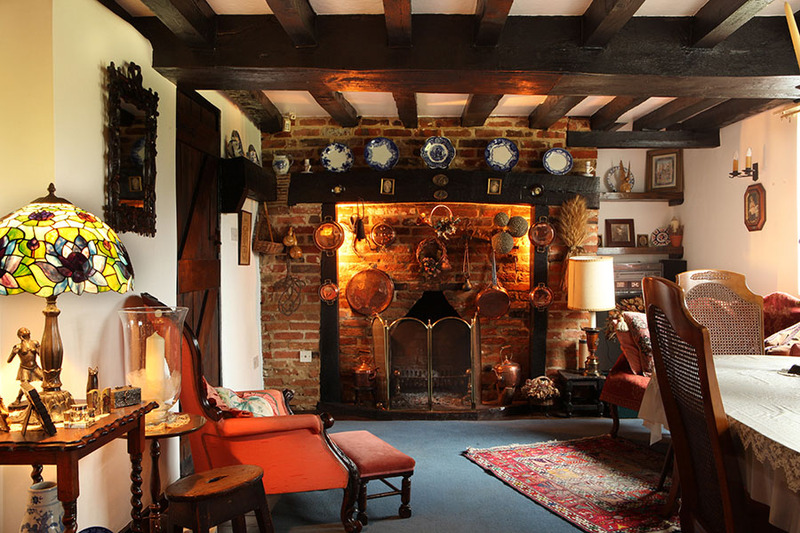 The house retains historic details like exposed beams on the walls and ceilings, brick fireplaces and casement windows. That TV set is a flaming eyesore. Pretend it's not there. Cover it up with your hand and enjoy the beam framed fireplace. Another brick fireplace in the dining room. 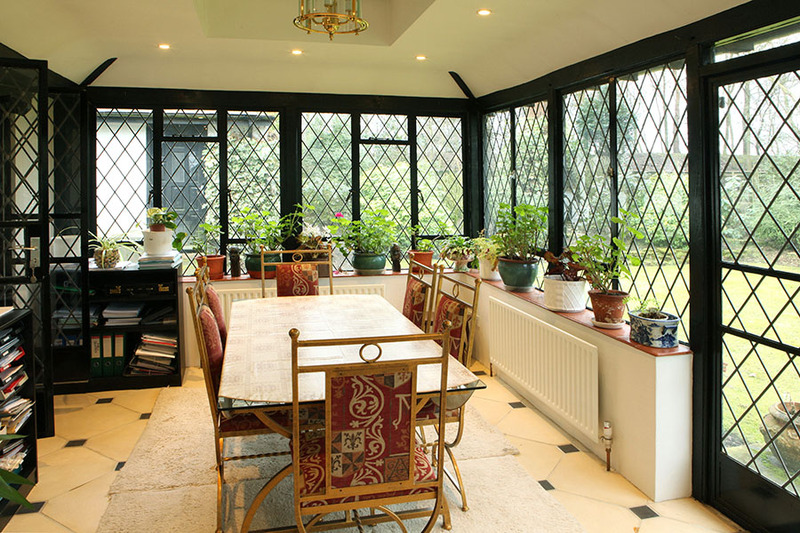 Fantastic windows and doors in the conservatory. Love the metal framed table and charis. 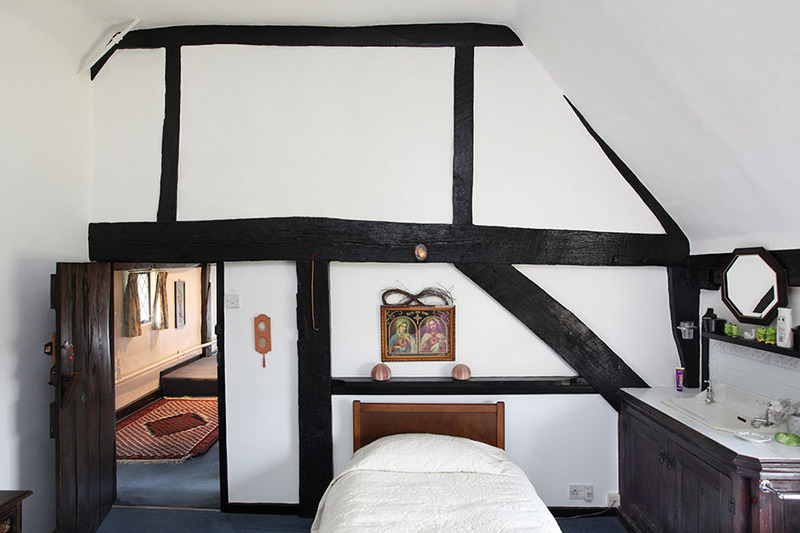 Two of the three bedrooms upstairs have exposed beams. The master has three exposures; the two smaller bedrooms both have washbasins. I linked this post at Leah's blog who was hosting a Toot your horn MckLinky party this week. And I'm linking it once again today at Melissa's The Inspired Room. Thanks Leah and Melissa for these MckLinky parties! Great way to explore and find new awesome blogs! A few more pictures right here. Ahhh. Just gorgeous. 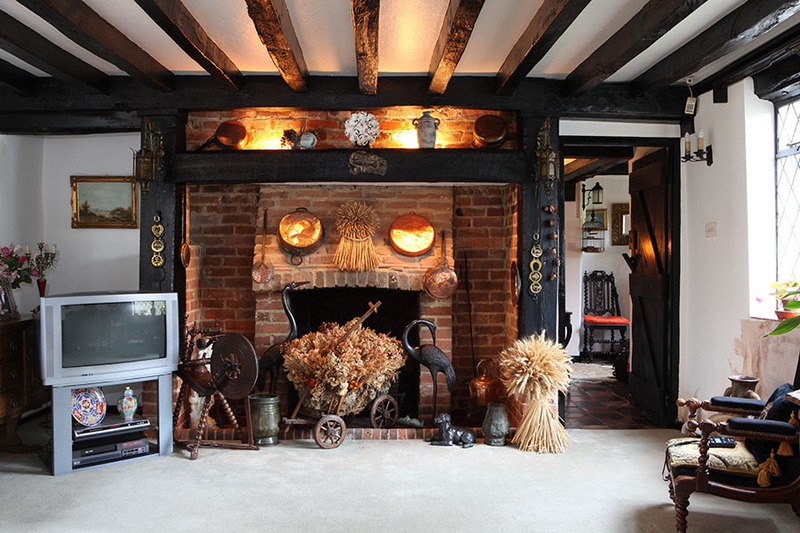 Those beams....those fireplaces. Oh to dream. This house is just gorgeous!!! And London only 45 min. away. Could it get any better? I didn't mind the TV. It reminds me real people live there. :-) Great house. Thanks for your comments Kristin, Lime and Pam. I understand what you mean Pam but when I look at these rooms I feel I'm in another century and seeing a TV just crushes the dream. By the way, I too have a great big screen in my living room! Lovely week to all of you! 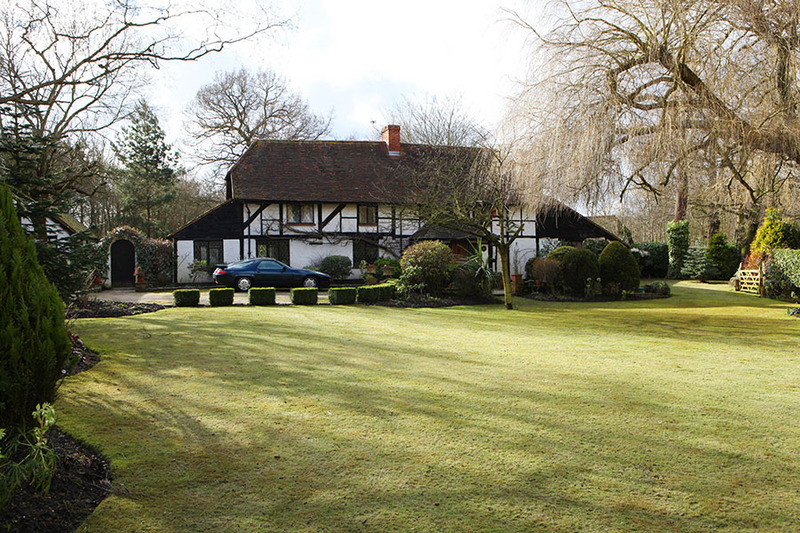 Surrey is a great part of England to live - very countrified, but as you say, so near London. I think that's why the price is so high! Many homeowners have moved away from thatched roofs because of the fire hazard (insurance premiums are huge) and endless spiders!! The beams and then that conservatory and all those gorgeous leaded windows, amazing! What a gorgeous home. 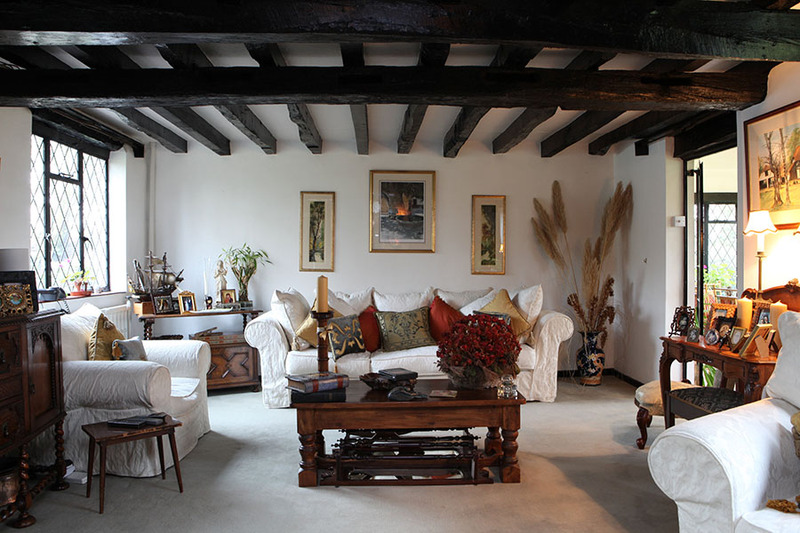 Love all the beams and the exposed brick.